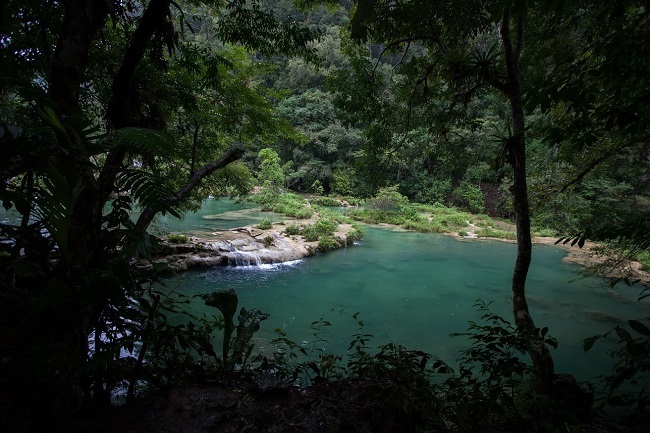 In recent years, the popular tourist attraction of Semuc Champey in the Guatemalan department of Alta Verapaz has become a point of social conflict for the indigenous Q’eqchi’ Mayan communities surrounding the site. On February 8, tensions erupted and led to the occupation of the municipality building of Lanquín by over 200 members of the communities near the tourist attraction. Community members demanded the recuperation of the site. Since that day, residents have maintained management of the park. As the indigenous-led recuperation of this park continues, the conflict has shed light on a longstanding dilemma in Guatemala around indigenous communities’ access to sacred sites. Community members’ recuperation of the park. All photos by Jeff Abbott. In recent years, the popular tourist attraction of Semuc Champey in the Guatemalan department of Alta Verapaz has become a point of social conflict for the indigenous Q’eqchi’ Mayan communities surrounding the site. On February 8, tensions erupted and led to the occupation of the municipality building of Lanquín by over 200 members of the communities near the tourist attraction. Community members demanded the recuperation of the site. Since that day, residents have maintained management of the park. Since February 8, the community has continued to welcome tourists to the Semuc Champey site, as well take entrance fees and maintain the grounds. 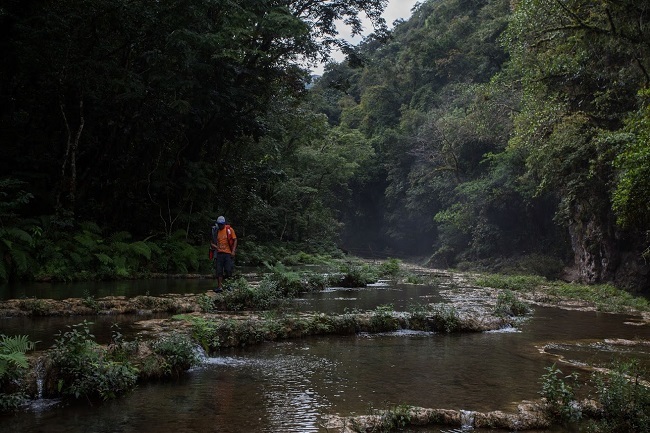 As the indigenous-led recuperation of this park continues, the conflict has shed light on a longstanding dilemma in Guatemala around indigenous communities’ access to sacred sites. Semuc Champey has become a popular eco-tourist attraction because of the unique natural beauty of the pools that sit above a subterranean river deep in the jungle of the department of Alta Verapaz. The area was declared a protected area, and the park was placed under the control and management of National Council of Protected Areas (CONAP). In 2000, the residents were given the titles to the lands around the site. But in 2005 congress passed Decree 25-2005 without consulting the residents, which declared the area a protected area, and expanded the protected land beyond the initial protected area. During this time the municipality was administering Semuc Champey, but this was changed in 2013 when CONAP and the Guatemalan Institute of Tourism (Inguat) took over management of the site, and barred the communities from the using the sacred site. Residents were told that they would receive employment at the site, and that they would be able to enter the site, but CONAP never complied with these promises. Since 2013, the residents of the Q’eqchi’ Mayan communities of Santa Maria Semuc, Se Mil, Se Subin, Chiqanus, which make up the municipality of Lanquín in the department of Alta Verapaz, have struggled for years to recuperate the sacred turquoise pools that have become a popular tourist attraction. The recuperation of the Semuc Champey in February follows several months of consistent protest over the site. Thousands mobilized in September 2015 to protest the cost of entrance. Months later in December 2015, residents occupied the municipal building to demand their right to the area. 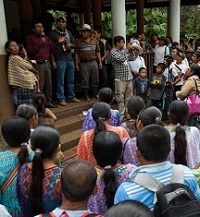 The same day the communities expelled the Guatemalan National Police and representatives from CONAP. Following the recuperation of the site, residents of the neighboring villages have distributed the work of maintaining the site, including the cleaning up garbage, collecting tourists’ entrance fees, and guaranteeing the security of tourists to the popular pools. Support for the residents of the region has come from across Guatemala, and especially other indigenous authorities of Guatemala. The recuperation hasn’t come without repression. On March 4, Asig Pop and Ramiro Asig Choc, another indigenous authority from the community were arrested by the Guatemalan National Police and charged with “usurping” the land. The two reportedly had received a call early in the morning from someone claiming to be from the Guatemalan National Paper, Prensa Libre. They were picked up by a new grey pick-up and then transferred to a police truck. Arrests aren’t the only threat the community has faced. The communities have also faced threats of eviction by the Guatemalan National Police, as well as discrediting and misinformation by the Guatemalan Institute of Tourism, and the Guatemalan national media. “(Residents of Rural communities) have taken the steps that can affect the entrance and freedom of movements (of the site),” wrote the Program for the Assistance of Tourists of InGuate in their statement. But the communities have attempted to counter this miss-information from the State bodies, and have maintained that tourists are still welcome to visit the site. The indigenous populations of the western hemisphere have faced an assault on their identity for over 500 years. Nowhere is this truer than in Guatemala, where the indigenous Mayan populations have faced an ongoing attack. 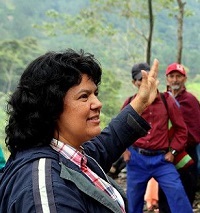 The expansion of the extractive industries in the years since the end of the internal armed conflict have sparked yet another offensive against indigenous people, and exposed the structural racism that remains in the country. 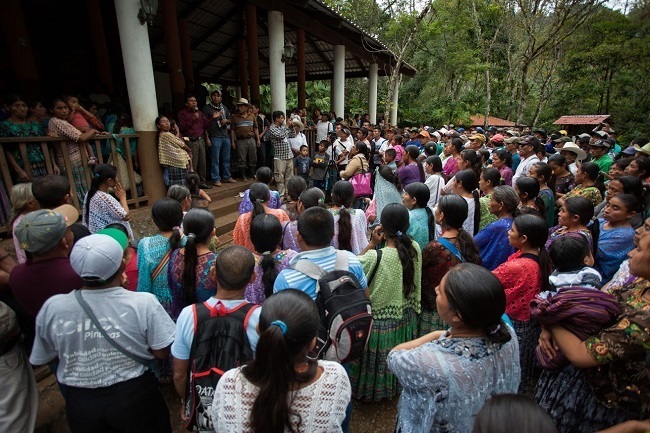 The indigenous communities that have organized to defend their rights and communities from the encroachment by transnational companies have increasingly come up against renewed hostility by the Guatemalan state. This has led to many human rights organizations claiming that the closure of space prevents indigenous communities from exercising their rights. But as the communities have organized, the communities have faced the imbedded racism within Guatemala that has historically painted the indigenous communities as backwards, barbaric, and anti-development. The promotion of tourism across Guatemala facilitates the dispossession of the land of indigenous communities. But movements to recuperate territory such as Semuc Champey have tried to gain back these sacred sites. The community members have since been able to return to the site without having to pay. This has occurred in part thanks to the recuperation of the site on February 8, which shifted the management of the entrance into the hands of the community. Semuc Champey is an example of the continuation of the privatization of sacred sites by the Guatemalan state and by transnational companies as part of the expansion of tourism across the country. Sites such as Tikal, Iximché in Chimaltenango, and Semuc Champey continue to hold significant spiritual importance within the Mayan cosmovision, where spiritual leaders still hold ceremonies, but are now restricted by fees, which keeps many from visiting the sacred sites due to the entrance cost. This frustration has driven the movement to recuperate sacred sites, and will likely lead to future conflicts.